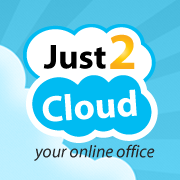 It is an online office which helps you to manage your contact, sales, inventory, account and many more. It is a Cloud-based (Centralized system where you can access anywhere) Inventory and Accounting System. It allows you to store your customer information, inventory data, invoices, quotations and reports in the cloud and helps you to save on your hardware and software costs.